When businesses first began using computers in large numbers, pundits heralded the coming of the “paperless society.” The computer revolution still has a way to go to deliver on that particular promise. Nevertheless, traditionally paper-based processes--both business and personal--continue to migrate to more computerized forms, and for some very good reasons. The computer has brought great ease and flexibility to the creation and editing of documents. In contrast to a typewriter, computerized word processing programs offer an almost limitless choice of styles, typefaces and formats for documents. Typing errors can be easily corrected onscreen without the need for correction fluid or correction tape. Whole blocks of text can be easily copied from one document to another without the need for any retyping. Photos and other graphics can be included in the document with very little effort. Sharing documents with a computerized system is simple. There is no need to make physical copies of the document and then mail or fax them to the recipients. A document on file in a computerized system can be shared with anyone else who has access to that system simply by having them display the document on their own computer screen. Documents can be shared outside the company by simply attaching the document to an email sent to the recipient. 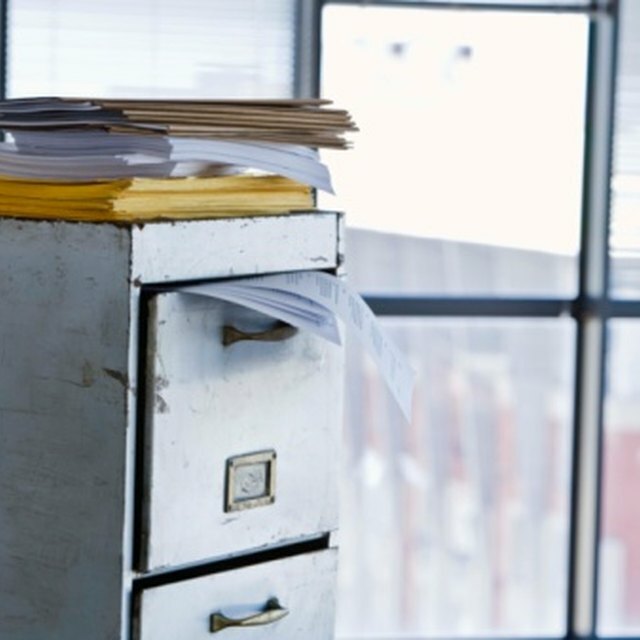 The purpose of filing is not just to store documents, but to also make them easily accessible. The computer excels in this in a way that the simple filing cabinet never could. Documents filed in a computerized system are automatically indexed by the computer’s file control system. These indexes are automatically updated and maintained by the system no matter how often the document may be moved or edited. Documents can even be located by having the computer search large numbers of documents for specific words or phrases. Additionally, computerized filing systems can store a huge number of documents in a tiny fraction of the space required by physical filing cabinets. Far from being simply an electronic representation of a static paper document, an electronic document can become a truly interactive entity. An electronic version of a fill-in form, for instance, can allow the entry of data directly into the document with real time error checking and verification. Calculations and functionality can be built directly into the document. For example, an existing customer can be listed on an electronic document by having the document use the computer’s customer database file to allow the user to simply select the customer’s name from a list of all customers in the file. The logic built into the document will then automatically transfer the customer’s information into the document, including addresses, customer accounting numbers, or any other desired data. The physical safety of a company’s files is of utmost importance. Files must be secured against physical damage or destruction. Access to files by unauthorized personnel must also be prevented. A computerized filing system simplifies these tasks. Copies of computerized files can easily be created and stored in various locations, both in multiple computer platforms within the network or on removable data media for off-site physical storage. Files in the computer system can also be encrypted to render them unreadable by those without authorized permission to view the files. Alan Dunbar began writing software system documentation packages and user guides in 1980. He retired from a career as a software developer and project manager and now devotes time to writing, mostly about the computer field, for websites such as eHow and Answerbag. Dunbar studied creative writing and computer science at Memphis State University.